Right click and click"open image in new tab". The SOI has crashed down and is now in the negative sone for the month average and the daily (that last one depends on te time you click on it) that means trade winds in Australia and not in the el~nino zone. So el nino thrives. That is kind of how you predict the zonal wind anomalies. after that the subsurface equaatorial pacific sea temperature anomalies will start to rise, this fueling El~Nino, and then it is easy to predict. This actually determines if the el~nino is going to happen or not (sometimes). If there is warm water in the west, and all the other factors apply, then el nino is probably sure to happen. Like here, where the waters are 4° celcius above average. (does not sound warm but really is, go look at the map). However, that cold plume in the east is actually increasing, making a likely chance that the atlantic will be busy. The last hurricane season was the most active Pacific Hurricane Season in terms of Accumalated Cyclone Energy(ACE). 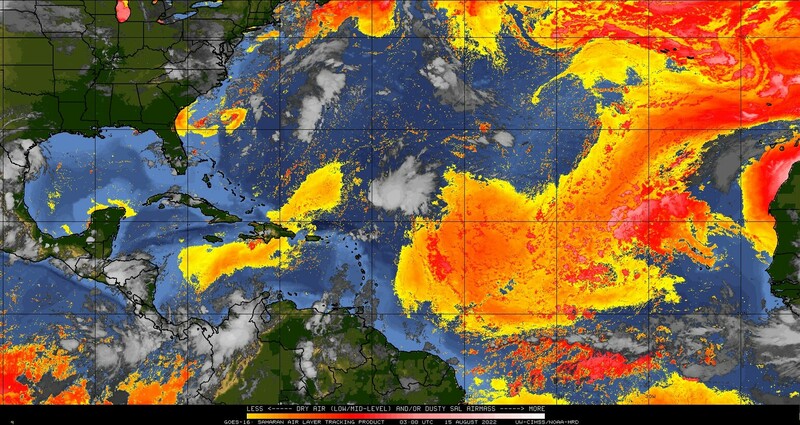 We got the el nono covered, we need the SST's of the East Pacific. On the image above, you see a cold PDO. That limits the hurricanes from going north. However, with the current pattern, it will eventuallly warm up. It cooled down due to storminess. So that means that with the current el nino, during the spring, it moves it's moisture more southwards because the ridge is more. However, those storms move more twards tropical cyclones. Taking note that the pacific in the tropics is already warm, this is again going to be a busy season. There would be another image, but the weather is too chaotic at the time for that. The Atlantic has a lot more features than the pacific, mainly due to the different terrains in the continents around it. One of them is the saharan desert of africa.It pumps dist into the atlantic which blocks sumshine, thus the hurricanes can's form.Those whites will cool the atlantic to such a level, half of the main development region will sot have tropical cyclones. The other half is free for dangerous cyclones. You also see that huge high in the north atlantic on the first image. That is going to block tropical formations in the north(not completely, it is weak). This makes perfect time for a busy atlantic. The temperatures of the water even say that! And, you see the dust in the carribian. It will take till july, but it will go away. It will at least be neutral, if not above average.